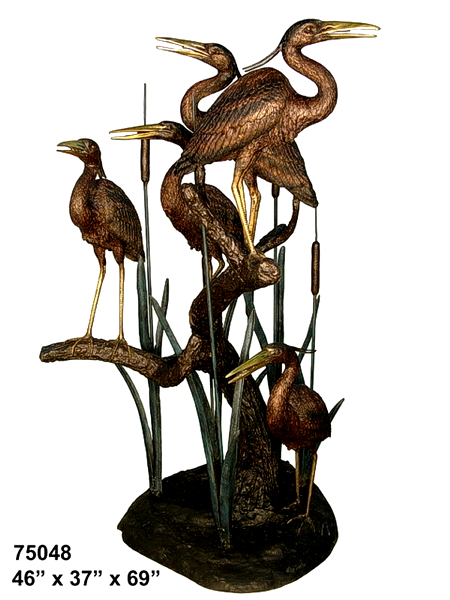 Bronze heron fountain or statue. Perfect for the home, park, resort, restaurant or hotel. This resilient fountain is impervious to the weather. Typical maintenance is washing it with soap and water periodically. We provide free mounting tabs and instructions making the installation quick and easy. Check out our references at https://bronze-depot.com/references and see the partial list of satisfied customers. You won’t find this fountain for less anywhere. To order call Maria at 321 804 4642.